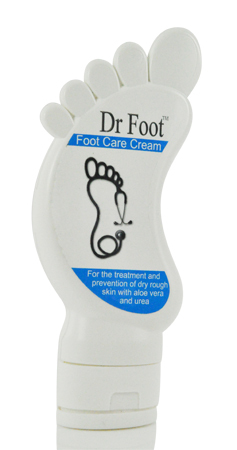 2 Dr Foot's Foot Care Cream is extremely effective in the control of dry and rough skin. 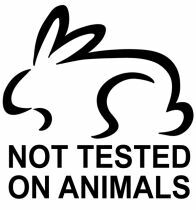 It softens hard, dry skin helping to keep it soft, supple and helps prevent further problems developing. Dr Foot's Foot Care Cream is an effective moisturizer with aloe vera and urea and is ideal for maintaining the condition of the skin on your feet. It manages and helps prevent dry and rough skin. Developed in the UK by podiatrists, Dr Foot's Foot Care Cream is an professionally inspired formulation that works with your body's natural defenses to condition skin. This unique, therapeutic formula contains Aloe Vera and Urea - the purest, most potent form of whole leaf Aloe Vera. Urea modifies the structure of amino chains and polypeptides within the skin, which is important for helping to moisturize the delicate tissue. Aloe Vera combined with the moisturizing benefits of Urea effectively penetrates through layers of skin to speed up cell renewal and repair dry, cracked feet and heels - fast! Directions for use: Initially apply a thin layer twice daily to dry skin and then just massage into your feet as often as required. Consistent use will keep the skin on your feet soft, smooth and in good condition. Glyceryl Stearate, Glyceryl Stearate Citrate, Ceteareth-25, Caprylic/Capric Triglyceride Carbomer, Tri Ethanol Amin, Phenoxyethanol, Buthyl Paraben, Ethyl Paraben, Paraffinum Liquidum, sobuthyl paraben, Acacia Senegal Gum, Methyl Paraben, Urea, Tocopherol, Aloe vera, Fragrance, Citric Acid, Benzyl Alcohol (and) Methylchloroisothiazolineone (and) Methylisothiazolinone.